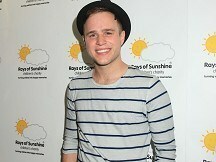 Olly Murs has revealed he hates it when Simon Cowell phones him - as he dreads it might be bad news. Olly, who launched his singing career off the back of appearing on The X Factor and who is presenting The Xtra Factor this year, told Capital FM that he fears Simon's going to tell him it's all over. He said: "I do get calls from him but it's either the most amazing news in the world or the worst news." He went on: "I'm still expecting to get the bad one saying, 'Sorry Olly, it's all over'." And he added that he and his Xtra Factor co-host Caroline Flack always joke about getting the sack. "We're four episodes in and we're still not sacked yet!" he joked.